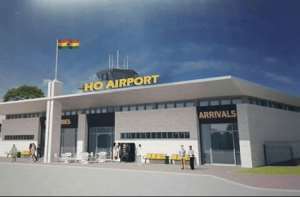 The National Democratic Congress (NDC) has expressed disappointment in government for failing to commission the new Ho airport in the Volta Region after its completion in January 2018. The project which was part of the numerous projects initiated by the erstwhile Mahama administration seems to have been neglected by the New Patriotic Party (NPP) government after failing to open it to public. The people of Ho have threatened to embark on a huge demonstration over government ineptitude towards them. Some members have accused the ruling NPP government of politically sidelining projects initiated by the previous administration which championed the $25 million project. Speaking to Class FM Saturday, April 13, 2019, the Deputy Communication Director for the NDC in the Volta Region, Delali Bright Kugbeadzor said they are demanding the immediate commissioning of the project which will pave way for the local economy to thrive. According to him, the project when commissioned will boost the developmental activities in the region—are surprised at government's posture. “As a party, we are overwhelmingly surprised. You know that infrastructure is classified as an economic infrastructure. We believe that putting an airport at Volta Region will add up to the economic opportunities that the Region is having. We believe that operationalizing the airport will boost tourism, will make sure that even neighboring countries even access the Volta Region or the Eastern parts of Ghana easily”, Mr. Kugbeadzor stated. The NDC communication director further disclosed that they will mount pressure on government until the project is opened for use. “But I believe that the good people of Volta Region are hugely disappointed. We will make sure we use the media to pile pressure on the government. At least they should explain to us the genuine reasons why they cannot operationalize this project for the people of the Volta Region”, he intimated.